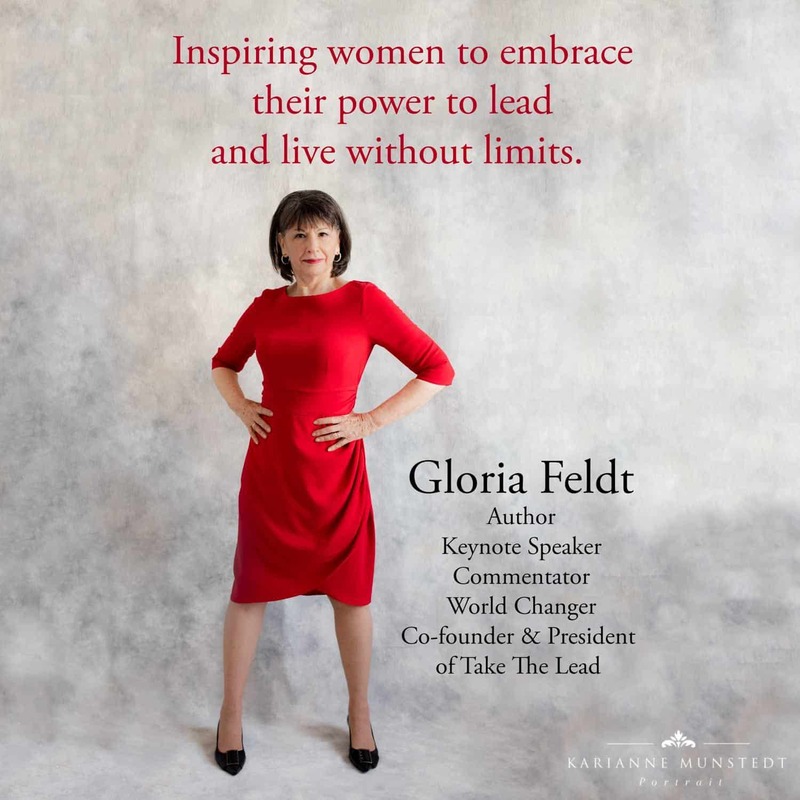 Gloria Feldt is an acclaimed expert on women, power, and leadership with decades of frontline leadership experience, a bestselling author, and in-demand keynote speaker. She is cofounder and president of Take The Lead, whose mission reflects her life’s passion: to prepare, develop, inspire, and propel women to take their fair and equal share of leadership positions across all sectors by 2025 by providing breakthrough training, mentoring and coaching role modeling, and thought leadership. Its signature 50 Women Can Change the World program is an immersive version of her 9 Leadership Power Tools to Advance Your Career customized by industries for women in early career, midcareer, and executive levels. She is the bestselling author of four books; the latest is No Excuses: 9 Ways Women Can Change How We Think About Power, the research for which plus her own real world knowledge forms the core of Take The Lead’s programs. She is formerly president and CEO of the world’s largest reproductive health and advocacy organization, Planned Parenthood Federation of America, capping a 30-year career that included serving as CEO of affiliates in West Texas and Arizona as well as the national CEO. She was named by Vanity Fair one of “America’s Top 200 Women Leaders, Legends, and Trailblazers,” Glamour’s “Woman of the Year,” She Knows Media Inspiring Woman, Women’s eNews 21 Leaders for the 21st Century, Women Economic Forum Circle of Light award, Texas Monthly’s Texas 20, Martin Luther King Living the Dream Award, and Forbes 40 Over 40. She teaches “Women, Power, and Leadership” at Arizona State University. Feldt has been widely quoted and published, including by the New York Times, Washington Post, USA Today, The Daily Beast, Forbes, Fast Company, Time, Huffington Post, Glamour, Elle and Ms. She has appeared on CNN, MSNBC, the Today Show, Good Morning America and The Daily Show. She recently served on the board of the Women’s Media Center, the Jewish Women’s Archive, and Emerge America and remains on their honorary boards. She currently serves on the board of Women Connect 4 Good Foundation. She is a member of the New York Women’s Forum, the International Women’s Forum, and the World Academy of Art and Science and is an advisor to the ERA Coalition. Gloria is an awesome chili maker. She and her husband Alex Barbanell live in New York City and Scottsdale, Arizona; they share a combined family of six children and 15 grandchildren, so there is never a dull moment in their lives. She spends too much time on social media and invites you to connect with her there. Not-so-fun-fact: Did you know that fewer than 20% of top leaders across all sectors are women? Thankfully there are extraordinary people like Gloria Feldt who are trailblazing the way and vigilantly fighting for gender parity. Gloria is the Co-Founder and President of Take The Lead, a nonprofit focused on preparing, developing, inspiring, and propelling women to leadership positions. And that’s after she rose through Planned Parenthood’s ranks to serve as President and CEO of the national organization from 1996-2005. Oh, and she’s a New York Times best-selling author too. She joins the podcast to share her incredible journey, the wonders of internal and external barriers to leadership, and how we can make the world a more equal place. Going from teen mom and high school drop out to later the president of Planned Parenthood and being named Glamour Magazine’s Woman of the Year…. Our guest today is in, one word, incredible. She’s also the author of the best-seller No Excuses: 9 Ways Women Can Change How We Think About Power. 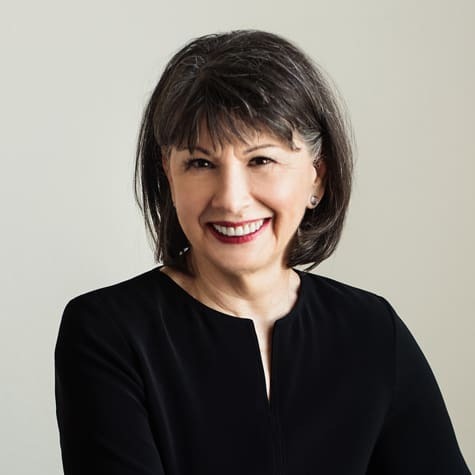 Gloria Feldt, from a distance, has been one of my role models and we have her to thank for blazing the trail for so many ambitious women. Today, Gloria latest endeavor is launching and spearheading Take The Lead, a nonprofit organization and movement with the goal of propelling women to take their fair and equal share of leadership positions across all sectors by 2025. How are we going to do that? Gloria has a plan….Let’s go straight to the interview. I think you’ll enjoy it. 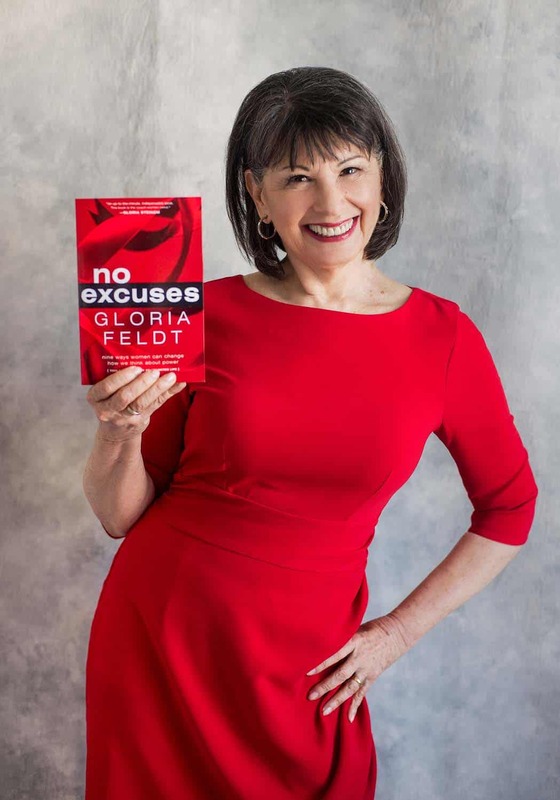 Gloria Feldt has been at the forefront of women’s empowerment issues for decades, and she hopes women can move past the current #MeToo movement to include men in the conversation about gender equity. “The #MeToo movement has been incredible in giving women the opportunity to speak in their own voices, and Time’s Up took the next step,” said Feldt, co-founder and president of Take the Lead, a nonprofit launched in 2013 to help women take leadership roles. This is Mentoring Moments, a series of WOW-you-need-to-know-these stories and tips from successful women of multiple generations. 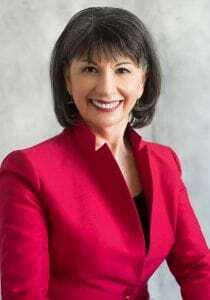 This Women's History Month LeadersIn spoke to 12 executive coaching, leadership and diversity and inclusion experts including Gloria Feldt, Dr. Monique C. Johnson, Georgene Huang of Fairygodboss, Jo Miller and Selena Rezvani of Be Leaderly, Rania Anderson of The Way Women Work, Jennifer Brown and more to ask them what concrete advice they have for women who want to chart a path to the C-Suite. The number of female Fortune 500 chief executive officers, for example, dropped by 25% last year while the number of black CEOs has also been on the decline and is at its lowest since 2002. Asian Americans, as Bloomberg recently wrote, “are overrepresented, relative to the general population, in entry-level and middle management jobs”, yet there are fewer than one dozen Asian CEOS in the Fortune 500. Recent data from McKinsey underscores these trends, telling us that “CEOs who took charge in recent years were no more likely to promote women to senior roles than those who became corporate leaders 20 or 30 years ago”. 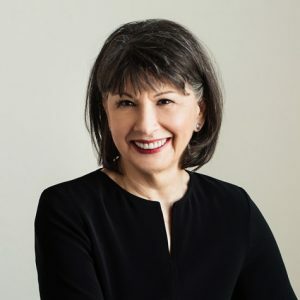 Gloria Feldt is the founder of Take the Lead, an organization dedicated to achieving gender parity by 2025, and of the 50 Women Can Change the World program. Listen online at slatersuccess.libsyn.com or on iTunes or Google Play. How can women take the lead in business? 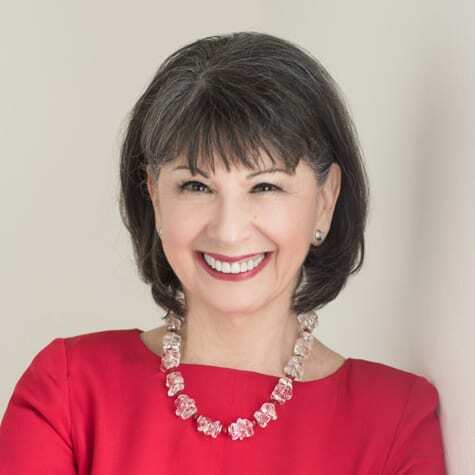 Gloria Feldt, president and co-founder of Take The Lead Women will join us to discuss her “50 Women Can Change the World” program! Join the conversation and watch live tomorrow at 12 PM ET here on Facebook! 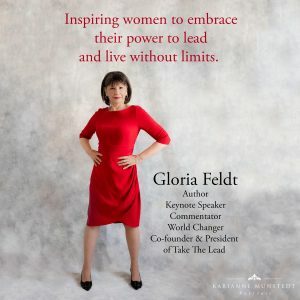 Gloria Feldt, the former CEO of Planned Parenthood and co-founder of Take The Lead, is a best-selling author and feminist leader. A longtime advocate for women's rights, she tells the Wall Street Journal's Veronica Dagher how the fight for gender parity remains a core mission in her life. Listen online at WSJ or on iTunes or Google Play.